for The strong growth and overall state of economic wellbeing that today is synonymous with Malta is no coincidence. Rather, it is the result of a number of key strategic decisions, taken over a number of years, which have contributed to the development and stability of our island republic. Political, economic, social and educational leaders have significantly influenced the way Malta has grown, and continues to grow, in spite of the turbulent circumstances that have hit our shores. Historically, the island’s geographical and strategic position in the middle of the Mediterranean has been a key driver in the various stages of its social, political and economic development. The post-Second World War stage was significant, as we remained a strategic island fortress that was used as a base for the British Navy, an “unsinkable aircraft carrier” as Winston Churchill himself put it. 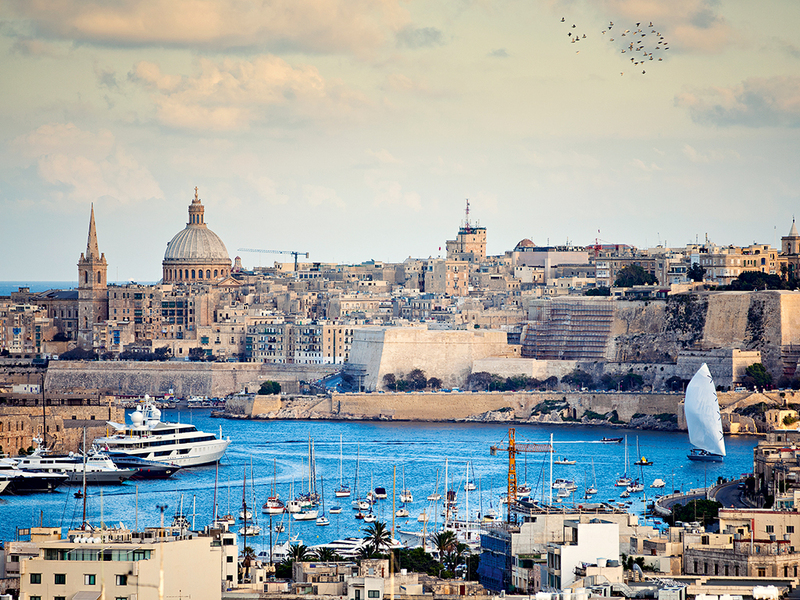 This role created the need for a variety of economic and logistical structures for Malta to be effective. Following the island’s independence in 1964, and especially after becoming a republic in 1974, the economy slowly evolved into one driven by the manufacturing sector, as well as by the development of tourism. The latter of these involved many energetic entrepreneurs who catered for the needs of what would become a booming hospitality industry. In the years that followed, the country managed to successfully find a balanced economy by moving away from the relatively low value-added manufacturing sector to much higher value-added service sectors, with an emphasis on the financial services sector and a more focused, export-oriented and high value-added manufacturing industry. These strategies resulted in Malta being able to retain its economic development in spite of a severe European recession, supported by a resilient export sector, a professional and cost-effective services sector, a strong tourism sector, and the many ancillary services required to support these. The economy was also kept buoyant by steady private consumption. In fact, this ensured that the island economy would be built around a myriad of family-run businesses in the form of small traders, importers, distributors, retailers, IT service providers and legal service providers, all operating hand-in-hand with a well-structured and well-regulated financial services sector. This thriving economic development led to the creation of a company registry that now contains in excess of 60,000 entries, still mostly family-owned and run, besides a number of sole traders. However, one cannot ignore the presence of the many significant global brands that also operate here, in the financial services sector as well as in ICT and manufacturing. The economy is now very open, and relies on international trade both inside and outside the EU. In spite of the various turbulent events that have transpired relatively close to our shores and further afield, Malta’s leaders have managed to consistently weather the storm and carefully handle the various challenging circumstances. In the current economic environment, there is a lot to be said for traditional banking services built on cautious and solid foundations. These make a country’s banking system very resilient, while also providing the level of access to finance that companies require from a well-developed banking infrastructure. It is safe to say that over the years, banks have supported the economy by providing a much-needed level of liquidity, flexibility and mobility of depositor funds. Furthermore, this has had the domino effect of generating income through money supply and turnover, creating value, wealth and economic growth. The Malta Stock Exchange has, in its part, acted as a catalyst for establishing and developing the Maltese capital market. By creating the circumstances for issuers, as capital seekers, and investors, as capital providers, to meet at a well-regulated, transparent and efficient marketplace, it has allowed more direct, efficient interaction between investors and listed companies, going back 23 years. During this period, the Exchange has appropriately focused its main efforts on the operations that surround its primary function – the trading of listed financial instruments, together with the necessary clearing and settlement processes and management of the post-trading infrastructure. This has been a successful growth phase that has seen the listing of over 40 companies, through equity and bond issues, and the issuance of over €15bn in equity, corporate and government bonds, and treasury bills. This success must be seen in the context of the fact that it took place on a developing island economy with a GDP of €6.5bn and a population of just over 400,000. One should also appreciate that a significant level of this investment came from Maltese private and institutional investors. The critical mass of market capitalisation today stands at over €10bn and there is an appetite for new opportunities for investment, ensuring that subsequent issues are likely to be consistently successful. This level of investor confidence in the market, combined with the increasingly entrepreneurial private sector, has created an environment that allows the capital market to coexist with the traditional banking sector. It also ensures a fairly regular supply of new listings and related investment opportunities coming to market. The Malta Stock Exchange is still growing. Key strategic changes have been made to increase the level of international exposure and create networking opportunities. These, together with the EU regulatory framework, have resulted in higher international visibility, access to new markets and the possibility to develop products that cater to domestic, as well as international, market needs. Furthermore, in our SME-driven economy, which is mostly built on family-run businesses, we feel that the circumstances are right for attracting privately-owned, family-run companies to the capital market. This could be through the sale or issue of new equity, or the issue of corporate bonds. The benefits of seeking a listing are clear: access to new capital in a cost-effective manner, without the need to put up collateral, the branding and corporate identity of being a listed company, and the valuation and visibility of the business in a very well-monitored market. One cannot overestimate the value of being a listed company when seeking international markets, as this gives the company additional credibility when marketing itself overseas. Of course, the listing of equity of family-run businesses would also create the additional benefit of creating an exit route for existing shareholders, who may have a relatively diluted stake in the business. Succession planning is something that is often overlooked, and it is clear that businesses need to prepare for when they move into second and third generation levels of ownership. SMEs will remain the backbone of our economy. They are key to sustaining economic growth, employment, opportunity creation, and goods and services provision. By continuing to focus on SME development as well as developing other networking and structural opportunities, the Exchange will continue to grow the domestic market while implementing the vision of the its executive management to develop the international capital market in Malta. We have all the right ingredients: connectivity and technology, professionalism and skills, infrastructure, and a regulatory framework. Put together, these make a compelling argument that the Maltese capital market will continue to develop in interesting ways in the years to come. UK Autumn Statement 2014: what reforms can we expect?